"The authors bring a multifaceted wealth of experience and expertise that equips people with the background knowledge and practical understanding to change the way they think and reap the rewards. The array of authors makes the book a complete tapestry rather than a single thread. The wisdom of the book is applicable to many medical issues. Bioregulatory Medicine puts the patient’s needs and benefit back at the heart of health care." “Sick has become the new normal as the numbers of chronically ill adults and children is ever-increasing, and patient frustration mounts as Western medicine fails to address chronic health challenges. 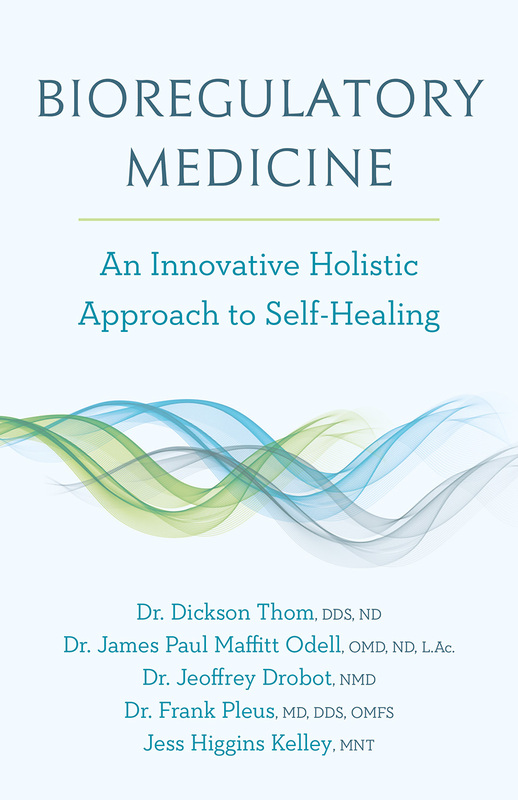 Bioregulatory Medicine offers a clear and concise map on how to understand the holistic model of integrative health practice via a unified mind and body approach while supporting the individual’s biology to self-regulate and regenerate. This evidence-based book takes the reader on a journey to understand how to implement a systems-focused approach to healing. This concise review is an excellent book for patients wanting to get healthy based on time-tested methods as well as for health practitioners looking to expand their own practice treatment modalities.”—Michelle Perro, MD, author of What’s Making Our Children Sick? Dr. Dickson Thom, DDS, ND is one of the co-founders and medical directors of the American Center of Biological Medicine, has over forty years of experience as a clinician and over twenty years as a medical professor. He lectures extensively throughout North America and is the author of Coping with Food Intolerances and Unda Numbers: An Energetic Journey to Homeostasis and Wellness. Dr. Thom has been teaching doctors, students, and the lay public on proven medical principles and business skills for over thirty-five years. His first post-doctoral degree was obtained from the Faculty of Dentistry, University of Toronto in 1974. He then received his degree in naturopathic medicine from the Canadian College of Naturopathic Medicine in 1986. In 1989 he completed a second degree from the National University of Naturopathic Medicine (NUNM) in Portland, Oregon. Dr. Thom was the Dean of Naturopathic Medicine at NUNM and a full-time professor teaching clinical and physical diagnosis, gastroenterology, x-ray practicum, neurology, and business entrepreneurship for twenty-three years. In 2009 Dr. Thom received the prestigious Vis Award from the American Association of Naturopathic Physicians for his commitment to the Vis or “Healing Power of Nature.” In addition to being a full-time professor, he held a private practice in Portland, Oregon for twenty-three years with a primary focus on the management of chronic disease, including autoimmune disease, neurological conditions, gastrointestinal problems, and endocrine disorders. For the last five years he has focused on building a state of the art clinic for biological medicine in Scottsdale, Arizona. The American Center for Biological Medicine now provides exceptional care to all patients from young babies to the elderly. Dr. James Paul Maffitt Odell, OMD, ND, L.Ac. began his medical career as a hospital respiratory therapist while in undergraduate studies in biology at Texas Tech University. Disillusioned with conventional medicine, he focused his attention on natural medicine, and graduated from Alliant International University with a doctorate in naturopathy in 1980, after which he studied traditional Chinese medicine and Mandarin Chinese. Having gained conversational fluency in Mandarin, he moved to China in 1986 where he completed a three-year post-doctoral program in traditional Chinese medicine at Shantou University Medical College, with medical residencies at Shantou University Teaching Hospital, Shantou Central Hospital, and Shiwan Hospital. Upon returning from China, he completed several internships in European biological regulatory medicine at the Paracelsus Klinik in Lustmühle, Switzerland. Dr. Odell is certified in acupuncture with the National Certification Commission for Acupuncture and Oriental Medicine (NCCAOM) and is a Professional Development Activity provider with the NCCAOM. He is licensed in acupuncture in Kentucky, Colorado, South Carolina, and Utah. For over twenty-five years he has been a certified instructor with the American Organization of Bodywork Therapies of Asia. He is also a Certified Traditional Naturopath with the American Naturopathic Certification Board. For over fifteen years Dr. Odell was the education coordinator for the Bioregulatory Medicine Network which conducted conferences on the principles and practices of European biological regulatory medicine. He is currently the medical director of the Bioregulatory Medicine Institute. He is also a medical consultant for PDC Biological Health Group and conducts workshops on contact regulation thermography interpretation. Aside from a busy health care practice, Dr. Odell is the owner and CEO of Phytodyne Inc., which is the North American importer and distributor of Ceres Heilmittel AG plant remedies manufactured in Switzerland. Jess Higgins Kelley, MNT, is a consultant, educator and writer. She is the founder and CEO of Remission Nutrition, a global oncology nutrition consulting enterprise that supports clients in the prevention and management of cancer. 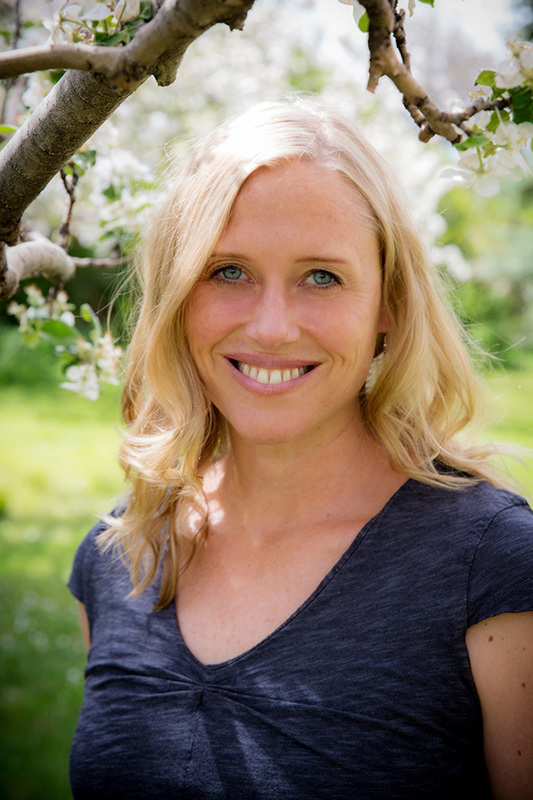 After teaching for almost ten years, Jess also created and founded the Oncology Nutrition Institute which trains professionals in the latest advances in complimentary oncology nutrition. With an undergraduate degree in journalism, Jess has written health and nutrition pieces for newspapers, magazines and is also the co-author of Bioregulatory Medicine: An Innovative Holistic Approach to Self-Healing.